Many charities and their accountants diligently strive to meet Internal Revenue Service (IRS) deadlines for filing their nonprofit annual report on Form 990 on time. This filing is frequently made by nonprofits on the last possible due date (4.5 months after their fiscal year end, unless extended). While filing Form 990 with the IRS on time without requesting an extension is fine, charities that are also obligated to file charitable solicitation registration renewals and nonprofit annual reports with state charities offices may find that doing so causes unnecessary, and possibly serious, issues. What purpose does filing an extension with the IRS serve if a nonprofit might be able to file its 990 on time? Not filing an extension with the IRS precludes charities from filing an extension with many of the state charities offices. Unless all of the required state filings (charitable solicitation renewals and/or state annual reports) are also filed on time, many states will revoke a nonprofit’s charitable registration. This can lead to late fees and the need to re-register, both of which are needless expenses that can be easily avoided. The IRS will allow nonprofits to file a 6-month extension for the 990 filing on IRS Form 8868. Frequently, nonprofits will not take advantage of an extension because they plan to file the 990 on time or slightly before the due date. However, since state deadlines for charitable solicitation renewals and state nonprofit annual reports frequently mirror the IRS due date, charities are often not able to prepare these filings at the same time the 990 is being filed. If a charity fails to file an extension with the IRS, it won’t have the ability to file for an extension with many of the state charities offices. 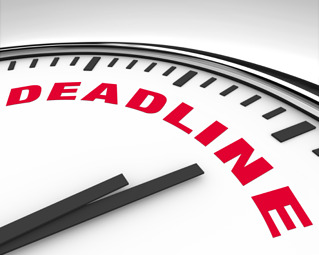 In addition to late fees and the time and cost of needing to re-register, charities need to keep in mind that if they miss state filing deadlines and continue to solicit with an expired registration or license, it can result in fines. For example, Florida quickly and frequently will file an administrative proceeding against charities and fine them $500 if they solicit charitable donations with an expired license. Furthermore, fundraising events or state and federal combined fundraising campaign applications often require proof of current registration. Not being able to provide it can needlessly threaten access to funds and donations. How can you easily avoid these potential problems? Simply be sure to file the IRS extension, even if you are planning to file with the IRS on time. Doing this will allow you to file extensions with the state charities offices, which is a simple, no-cost process that usually only requires providing a copy of the filed IRS extension request to the state charities offices. As you can see, by filing for an extension with the IRS, you can provide your charity with the often-needed option to file for extensions of state deadlines and eliminate the stress and unnecessary expenses that can result from missing deadlines.